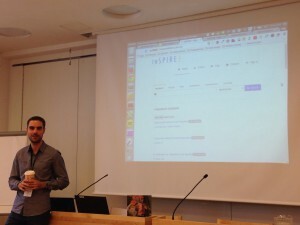 Those of you following us on Twitter have already seen that the INSPIRE team contributed to this year’s Open Repository conference in Helsinki. We were there to share our experience and features with other state of the art services. Also, we took advantage of the event to discover other services that could provide further content to INSPIRE, so we can provide you with a complete picture of your research. This year, a big part of the presentations focused on data. DOIs for citable data are already a reality in many disciplines. 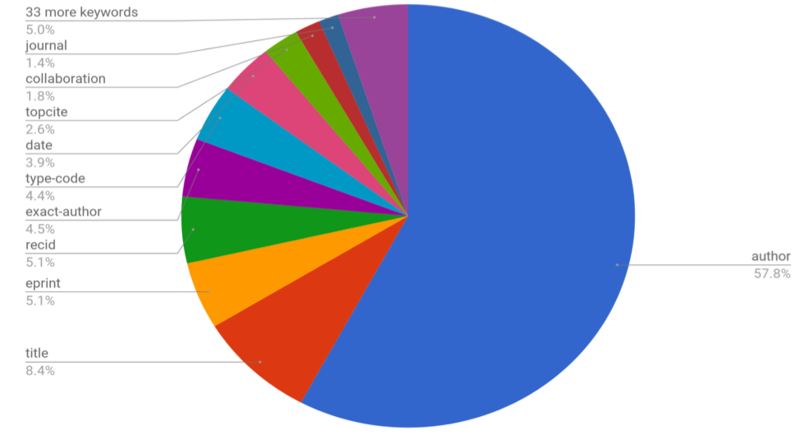 But, as it turned out, it looks like INSPIRE is one of the very few around that can actually track citations to data. 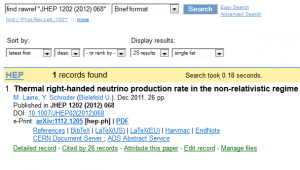 Have a look at one example of data reuse and citation tracking in INSPIRE. 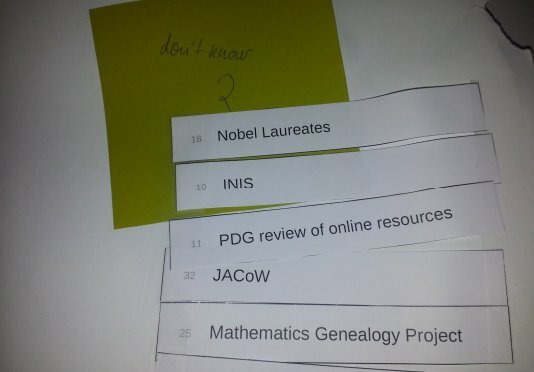 ORCID iDs were another important topic during the conference. 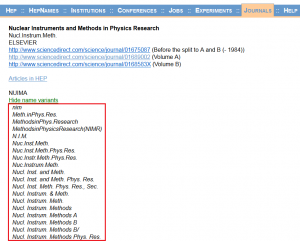 Many systems, from data repositories to publishers, are integrating them as author identifiers. 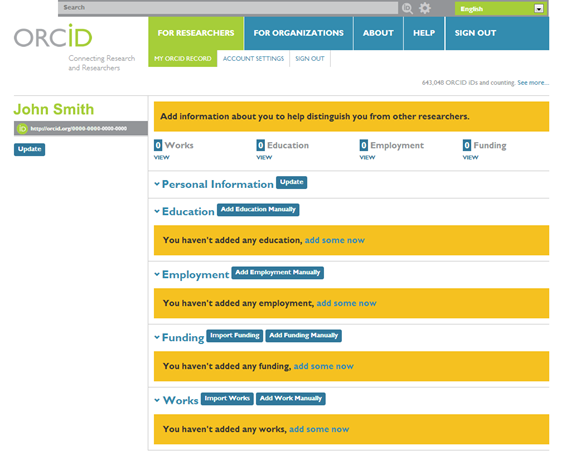 They enable you to connect your research globally, import and export your publication list, independently of the backend used by each platform. 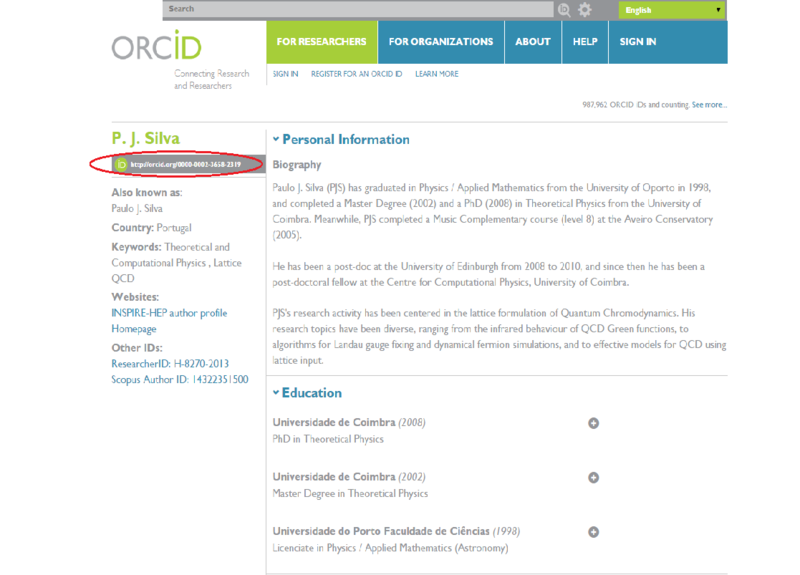 On INSPIRE, you can link your ORCID with your author profile. This will help us to discover your publications in other fields (e.g. condensed matter or mathematics) and enrich your profile. 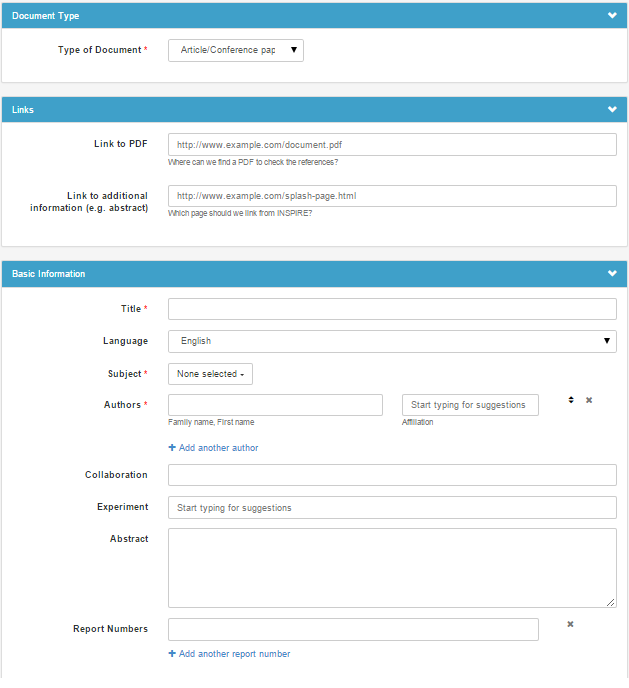 During the conference, we also presented a preview of our new author pages. They will be deployed next week, stay tuned! Finally, during the dedicated Invenio session (the software INSPIRE is built on), we presented a first sneak peek of the INSPIRE Labs website. With a brand new modern design, we will use it to test many of the new features coming to INSPIRE. Let us know at usability-testing@inspirehep.net if you want to become an INSPIRE tester and start experimenting with them very soon! The INSPIRE Advisory Board meets once a year to hear about progress in the services and feedback from the user community. We recently took stock of progress in our service, its hardware, software, and the new areas we are starting to focus on. Our Advisory Board counts seven experimental and theoretical physicists from the participating laboratories and the community at large, plus the manager of our sister service NASA Astrophysics Data System. The 2014 meeting took place at Fermilab in May. INSPIRE staff from the five participating laboratories (CERN, DESY, IHEP, Fermilab and SLAC) presented to the Advisory Board an extensive overview of the team’s work during the previous year, along with current challenges and future directions. Among the topics were the organization of our service, the user feedback, the content selection and processing. We made extensive operational improvements to the INSPIRE infrastructure, including new hardware and architecture, major refactoring of the INSPIRE code base, and significant process improvements. While invisible to users, these improvements ensure continuing speed and reliability and allow us to prepare for future development. 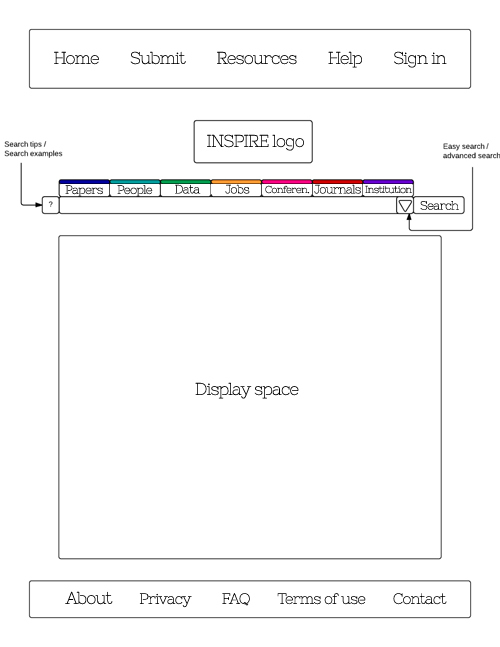 We mused about future directions for the design of INSPIRE and how to bring together our classic search experience with interaction design and modern web design standards, especially for new services such as author profiles and a more efficient submission of corrections and feedback. 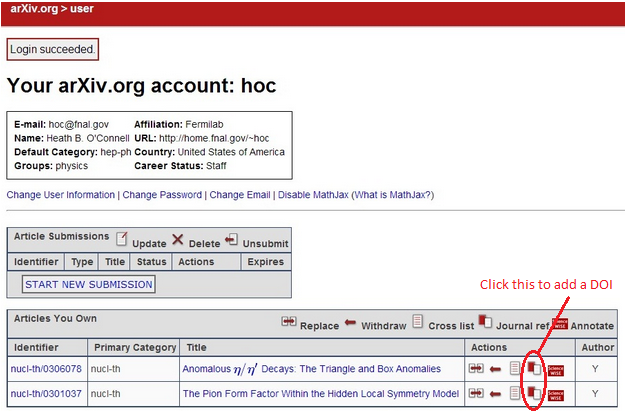 We realized how much effort we were able to devote to support open research data. 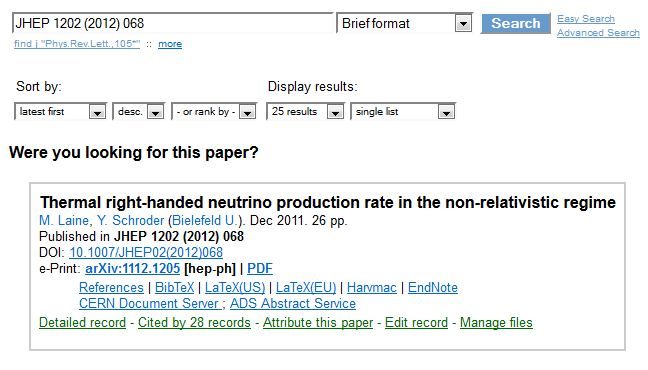 In addition to helping make the ATLAS Higgs likelihood available in a citable way, we also started to link papers to code from GitHub, and integrated third-party data repositories. We reviewed all new content we have been adding to INSPIRE: daily upload of the LHC experimental notes CMS-PAS, ATLAS-CONF, and LHCb-CONF, increased coverage of nuclear physics, and the upload of the PDFs of approximately 10,000 relevant articles from Proceedings of Science, which are now searcheable. 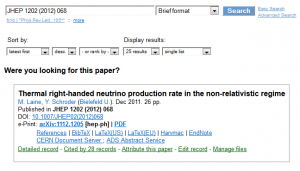 We invested additional resources to meet expectations of a timely update of references, authors, and other information of articles we receive from arXiv and beyond. Parts of this process are still manual. During the last year we cleared over 10,000 existing tasks. Our ongoing backlog is now around 1,500 tasks, the lowest in several years. It usually takes us between a day and less than a month to process these tasks. The meeting was an ideal opportunity to welcome IHEP as a new member of the INSPIRE collaboration. The meeting was an enjoyable, lively exchange, providing lots of food for thought as INSPIRE moves forward. The INSPIRE Advisory Board is an invaluable source of insight and a trusted representative of the community we serve. Its input, together with the hundreds of e-mails and suggestions we receive from our community make sure that INSPIRE stays true to its course: to be an indispensable service for the High Energy Physics community worldwide.